In its early days, Ecommerce looked like a luxury, but with changing market dynamics, it has become a necessity. In the fast growing age of Internet, most of the brick and mortar shops are seeing immense competition from growing popularity of ecommerce businesses. The globally eCommerce market is seen to be growing much faster than our imaginations. According to several statistics, over 80% of the world’s population has made an online purchase at least once. The retail ecommerce sales barring travel, restaurant and event ticket sales, etc. already closed the year 2016 at a whopping $2 trillion. These sales are further expected to grow to almost $2.5 trillion by the end of 2018, and then jump to $4 trillion by 2020. In the US, the world’s largest market alone is already being anticipated to rise by somewhere between 11% and 16% from 2013 to 2018. Moreover, while China will maintain its dominance at the second position with a projected $1 trillion in retail e-commerce sales by 2018, the UK market will generate about a quarter of that number. 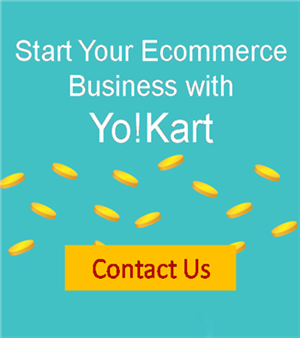 That said – Starting an ecommerce business has never been easier! Even if you have no idea about codings, starting with an eCommerce platform, like YoKart and Shopify, is as smooth as butter. These present us with a complete package including — pre-made design templates, multiple payments getaways, easy checkouts, secure architecture, etc. to initiate a Plug & Play like automation. All that you need to do is list your products and get things running. Additionally, you also have the availability of a range of tools for marketing, optimizing and tracking your online sales as well. On one end – the eBay and Amazon of the eCommerce world, stifle with their fees that often touch 15% (sometimes even more) on each transaction, which is one of the main revenue sources for these marketplaces. This percentage does not matter much in the initial days when the sales are low. It starts to pinch only when you start touching high numbers. Imagine you have sales of $1 million and have to give away 15% of it, i.e. $15,000 + taxes, just as fees! On the other end, if you have a physical store – it goes without saying that you end up paying fixed costs to run the store, but you also pay a huge cost to maintain and manage the inventory as well. But the case is very different with your own eCommerce store. Not only is it economical to run your own ecommerce website, but the overall process from managing the inventory to handling sales and work orders is far simpler too. It helps you automate certain responsibilities and allows you the time to do other important tasks.And now, with Plug-&-Play platforms like Shopify, WordPress, YoKart etc. to help you install the eCommerce platform on your website in a matter of few hours or a day, things have never been easier. Every business has a Stagnation Point when it reaches the highest point of its sales (keeping in mind the surrounding factors). This is when the sales stop growing, become slow and even begin to dip at times. It is mostly because the business has reached its peak, in all aspects, and is a hint with an underlined message saying that, “your business has reached its endpoint, and a change or innovation must be brought in to continue growth”. If not acted at the right time, the consequences can turn out to be irreparable. This is where eCommerce comes into play! Once you control that much of the market, it becomes a necessity for a business to expand to become a full-fledged standalone marketplace. Get you the opportunity to capture a global market, which does not have any geographical or time constraints. To begin with – according to eMarketer, global ecommerce market is expected to grow at a CAGR (compound annual growth rate) of 17 from $1.3 trillion in 2014 to $2.5 trillion by the end of 2018. That means, not only the usage of internet to make retail purchases by the current customers will grow, but we will also witness a large wave of new customers entering the internet market to make purchases. The number of people opting for online shopping has seen a dramatic rise in the last few years. A number that was just 36% (of American shoppers) during the December holiday period, jumped to a staggering 61% in three years. But this was holiday period – if we go on to study the statistics of the people who’ve made a minimum of one online purchase from the internet, the percentage would be far larger. Hence, it is very important to know your consumer’s demand, and most importantly, fulfilling it can help you go a long way. So when people ask where they can find your business online – sending them to Amazon or eBay could depreciate your brand’s value to a great extent. Think of it – if you were an owner of a hotel and you told your customer to find you through Expedia or TripAdvisor, instead of your own website. Yes, it looks that bad! Having your own site, eCommerce platform definitely gives a strong sign of brand maturity. It tells the customers that you are a serious business behind your product. It is true that – buyers won’t always walk up to your doorstep and let you know about their demands, but at the same time you also will have to keep in mind what fits best for your product. As your business grows older, you will automatically understand their needs, requirements, and what best would fit the bill. You will understand whether they need platforms like eBay and Amazon that do not offer customized functionality or otherwise. And if you’re selling products that are different from the other businesses – like custom motorcycle parts, then you will definitely require a platform that has a more advanced shopping cart, something that is more personalized and with unique filters to the needs of your product. Additionally, as your sales increase, you will be forced to make your operations and functioning more streamlined, and be ready to create a system to collect valuable customer information such as email addresses, order history or shopping cart abandonment, etc. This data is very crucial and comes of great use to build a customer retention strategy – and essential to the long game. Furthermore, product demand also depends on what kind of brand you own, what do you wish to build it into, and your strategy! For instance, you will never find brands like – Louis Vuitton and other luxury brands on platforms like eBay or Amazon, and they will never roll out discounts. This is to maintain their exclusivity. Depending on what kind outcome you wish to maintain, you must accordingly keep a very tight control over where customers can find your products. This strategy is usually opted by businesses that follow a – low volume, high margin method, industries like – jewellery, fashion, and accessory, where user experience is of utmost importance! 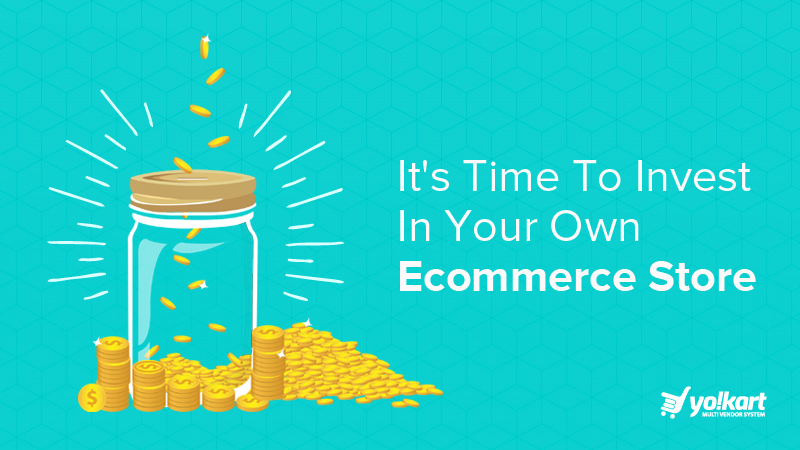 Another very important reason to migrate to your own eCommerce store would be for a larger consumer base. The businesses that turn to eCommerce models primarily do so for growth purposes and larger customer base. We all are aware that eCommerce holds the potential to touch a larger customer base – but it is very important to understand, how large that base could become, for that information is very essential to create a strategy. Besides that, a huge advantage that an eCommerce store holds is the ability to remain open 24×7, which directly affects your sales in a highly positive manner! Using such near-to-full-proof strategies, you successfully are able to target a broader audience and hence possibility of better overall sales. With the right kind of tricks and strategies, a small business holds enough potential to grow into a global powerhouse as well. Any business, be it small or big, with customizable options and tools that fit specific needs, can enter the eCommerce field. The beauty of owning your own eCommerce platform gives you the advantage of creating a brand identity, engaging with customers in more meaningful ways and most importantly.